Join us for Corvettes and Coffee at Purifoy Chevrolet! 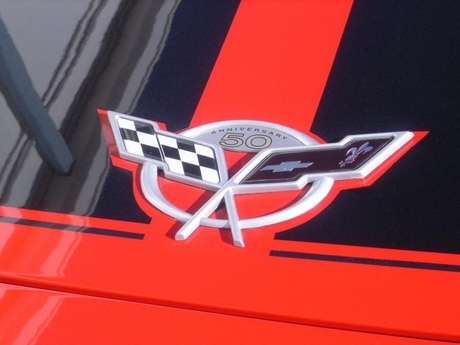 Stop by for a cup of coffee, some friendly conversation, and the unveiling of our exciting newest custom Corvette. You won't want to miss it! This is the last new C6 Z06 we will receive at Purifoy Chevrolet and we decided to celebrate the end of Z06 production by building up one of the best examples we have ever had in stock! 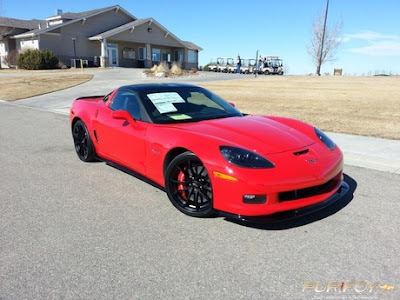 We started with the base Z06, that has been winning our hearts since 2006, with its 505 horsepower 427ci LS7 V8, manual transmission, and grippy Michelins. Then we added the top level 3LZ interior trim option that wraps every imaginable interior surface in leather, has heated power sliding seats, navigation, head-up display, dual zone climate control, and a power telescoping steering wheel. 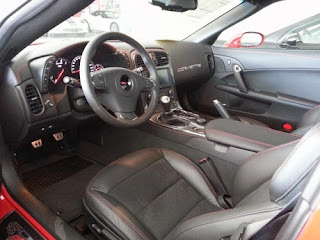 To go along with (and even show up) the upscale interior, we checked the two option boxes that elevate the Z06 from a great sports car up into supercar territory. Those options are coded Z07 and CFZ and they turn the "regular" Z06 into a bigger displacement ZR1 without a supercharger. The Z07 package adds Magnetic Selective Ride Control, massive Carbon Ceramic Brembo brakes (a $10,000 option on Ferrari and Porsche cars), Pilot Sport Cup tires, Performance Traction Management, black lightweight cup style wheels, enhanced cooling, and a new black full length spoiler. 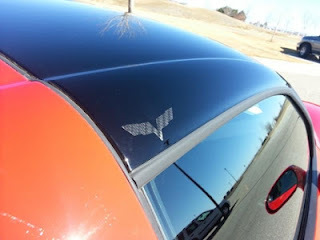 The CFZ package adds a lightweight Carbon Fiber roof panel, Carbon Fiber front splitter, and Carbon Fiber side skirts. All of these additions improved the Z06's lap time at the Nurburgring from 7:42.99 up to a blistering 7:22.68! A Z06 with these options will stop from 60 mph in just 94 feet and can pull 1.13 g's in the corners; both marks are all-time records for cars tested by Motor Trend! After we did the high-end interior and all of the go-fast goodies to this Z06, we focused on style. Nothing fits together like a Corvette and red so we did this one in Torch Red and selected matching red brake calipers and red stitching on the interior. To finish up the sinister look, we gave the front fascia a meaner look by adding the black headlight override option that looks superb with the black carbon fiber pieces and black wheels. 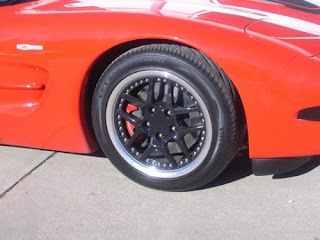 If you want the ultimate Z06, we have you covered plus some! Stop by Purifoy Chevrolet to see this beauty in person! Would you like to know more about the 2014 Chevrolet Corvette? Contact the Corvette Guys at Purifoy Chevrolet for more information! The 2014 Chevrolet Corvette Stingray convertible will make its world debut on March 5 at the Geneva Motor Show. "It's fitting to introduce the new Stingray convertible on the global stage at Geneva because Corvette is the face of Chevrolet the world over," said Susan Docherty, president and managing director of Chevrolet and Cadillac Europe. "It is an icon that has long been recognized and admired even in countries where it's never officially been offered." There are Corvette owner and enthusiast clubs in more than 100 countries, and 58 percent of the 1.1 million fans who “Like” Corvette's official Facebook page reside outside the United States. Would you like to know more about the 2014 Chevrolet Corvette? Visit Purifoy Chevrolet for all of the latest information! 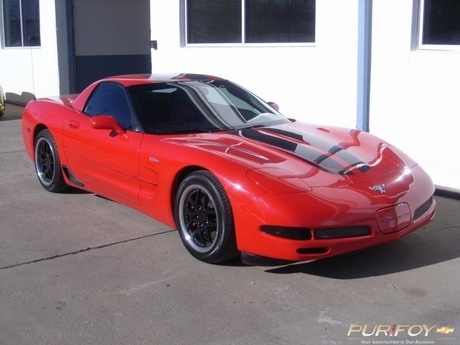 Here is a great 2003 Corvette Z06 in Torch Red with the Red & Black leather interior and 49,455 total miles! Stop in to Purifoy Chevrolet and check out the custom features this car has including the black Z06 wheels & the painted black stripes. Lots of standard features including head-up display, power door locks, power windows, power mirrors, power driver seat, dual zone air conditioning CR radio, and cruise control! Ask us for a test-drive today!! 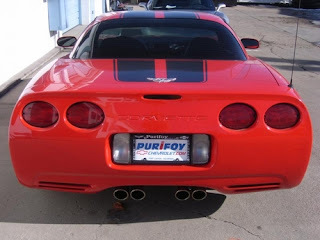 Purifoy Chevrolet will be hosting the first Corvettes and Coffee of 2013 on Saturday, March 2 from 9 am – 12 pm. We will be posting more details closer to the date, but we just may be unveiling something special! Make sure to mark your calendar!